Ron and Maggie Tear Photography: Washe washe bowls! Our washing facilities! 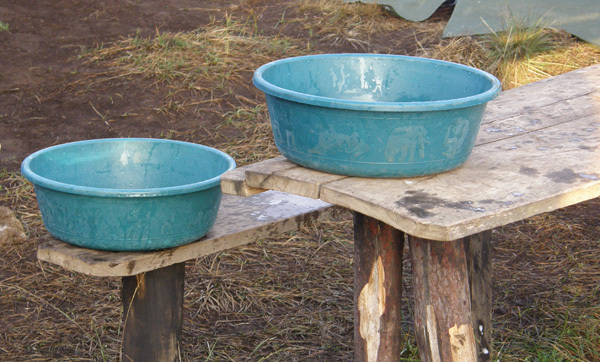 We were given a bowl of warm water, both morning and evening to wash the bits we could get to, inside our tents of course!